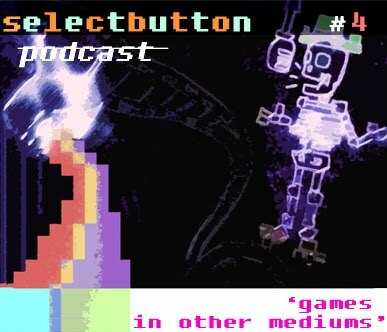 I took part in the SelectButton Podcast, Episode 4, over the weekend. The theme being the portrayal of games in TV and film – whether it’s fictionally created games for the show, games being played badly with flailing limbs, videogame tournaments on TV, and so on. 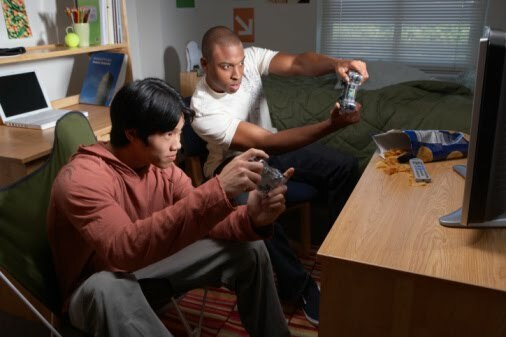 Generally I didn’t contribute too much, but I did talk about British televised videogame tournaments, and for the first time discovered that the phenomena is rare in the US. 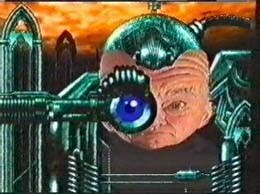 In the UK there were 7 series of Games Master (not to be confused with the loosely connected and utterly **** magazine), with 126 episodes, and 4 series of Game World, resulting in over 800 episodes. Both featured PvP tournaments and high score battles, while GM also had gameplay tips and other stuff. And if you watched Charlie Brooker’s GameSwipe show, he showed footage from vintage British computer programs from the 1980s – so the UK from the beginning seemed to give semi-decent coverage to computers and the games played on them. I spent my teenage years watching Games Master and Games World, and prior to that in South Africa watching Videopower when it featured the Power Team cartoon, and over the years had assumed that there must have been a lot of games-based shows in the US. Apparently not! While GM and GW weren’t as cool as you’d expect or hope, instead relying on gimmicks and kitsch themes instead of gameplay footage, they were interesting and they at least existed, bringing videogame content to the masses via mainstream terrestrial television (well, Gamesmaster was on Channel 4, Games World was a satellite only thing). I was also a contestant on Games World on two separate weeks (the Aztec themed series), but perhaps I’ll save that for another blog entry. Friends at school watched the episodes, but I was never able to, so if you have footage of Games World series 4, please upload it somewhere! EDIT: Just to clarify, GW was divided into weeks, with 5 contestants slowly being whittled down in each, until one was left, and his final score put him on an overall leaderboard. The first time I went I lost in round 2, but they liked me, so along with 4 others I came back for another shot at the title. At this point I made it through each of the 5 days, faced off against 2 videators, and ended up as 6th place on leaderboard (at least, I think it was 6th place). Unfortunately only the top 5 ended up getting prizes - I came close, so close. If anyone has footage of me winning, I would love to see it. Sadly in the US we have had very few gaming shows. One was a game show I remember when I was growing up called Nick Arcade, contestants played each other for a chance to play a "game master". The only other I can think of is the crappy X-Play. We also had Gamepro, which was a tie-in with the magazine, hosted by JD Roth. I only remember it being a preview/tips show, but I think there may have been some game show aspects? There was also Video Power, which was definitely a game show, and had kids answering trivia and doing video game challenges. At the end of each episode, the kids wore this suit covered in velco and would slide into a pit (or something) of games and try to grab as much as possible in a short period of time. Gamepro was only on for a bit and was televised at like 7 AM on Saturdays, but I remember watching Video Power every day before school when I was in maybe fourth grade. And hey, after checking out the linked clip, Video Power was definitely the same show. Now that you mention it, I remember watching Video Power before school as well. That pit of games seemed like heaven to me back then, lol. In Australia I remember a program called "Amazing" which featured a round where they played certain video games (all SNES I believe - Nintendo was probably a sponsor for the show as the prizes were often Nintendo related) for scores - I think they played throughout the series the Fly minigame in mario paint, Bubsy (yes...for real Bubsy) and Mario Kart. Also had a spelling segment (where contestants ran on a giant keyboard to spell words) and the final prize was searching through a jungle gym type maze with various themes searching for keys.